For 40 years, the Bangkok International Motor Show (BIMS) become a highly-anticipated event in the motorcycle industry’s calendar. With a third of the total space dedicated to motorcycles, the 2019 BIMS continues to play a vital role in showcasing South East Asia's newest motorcycle trends, as well as previewing the newest models to possibly come to the Philippines. Like in the past, the event was held at the halls of the Impact Challenger exhibition center. Open for four days, the show boasts of 171,000 square meters of exhibition space and the presence of 32 motorcycle brands. Naturally, there could be no better place to launch new models for Asia. We run through the vital launches and unique motorcycles on display. Peugeot took the wraps off its Django scooter. The Django is currently offered in 3 trims; the Heritage, Evasion, and Sport. Inspired by Peugeot saloon cars of the 1950s, the Heritage trim also possesses the color-scheme and body design cues of that era. The Evasion uses a two-tone color-scheme and features a stylish windscreen. The Sport, on the other hand, was inspired by the race cars of the 50's, complete with racing numbers and a removable pillion seat for a sportier look. While the design cues are classic, the Django lineup is packed with modern technologies such as an all-LED lighting, front and rear discs with Anti-lock Braking System, semi-digital dashboard and phone / GPS power socket inside the glove box. The under seat compartment can fit a standard-sized jet helmet (open face) and its powerful 150 cc air-cooled engine has a claimed top speed of over 120 kilometers per hour. 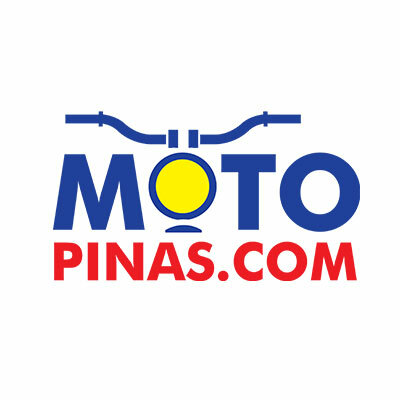 Will we see the Django Scooter here in the Philippines? There is no word from Peugeot PH yet, nor is there word circling about who will be the possible importer as of now. Just for comparison, the SRP in Thailand is 89,800 Baht, which is approximately PhP 148,000. Add the complicated Philippine taxes and duties computation and the price might skyrocket to the PhP 200K range. For now, we can only speculate and hope that we see this nice scooter on our streets. Over at the Royal Enfield booth was the usual lineup of 350 cc to 500 cc motorcycles, accompanied by the new twins; the 650cc middleweight Interceptor and new Continental GT. However, what caught our eye was the KX Concept motorcycle from the Indian conglomerate. The Royal Enfield KX Concept was first unveiled last year at EICMA in Milan, Italy. It is inspired by the 1938 Royal Enfield motorcycle that was powered by an 1140 cc V-Twin engine, the largest engine from RE at the time. Designing the KX began in April last year at the company's headquarters in India, then in the UK. It was said that there were two design concepts for the KX: neo-classic and futuristic. The two designs were then blended together to create this final concept. The KX Concept bike boasts of all-LED lighting, 19-inch alloy wheels, a low seat at 740 mm, and sophisticated frame design. Although Royal Enfield maintains that the KX Concept will not be in production soon, it is clear as day that a few years from now, we may start seeing these gorgeous bikes going head to head with popular V-twin cruisers from Harley-Davidson, like the Sportster Iron 1200 and the Indian Scout 1200. Besides the all-new CBR150R, Honda Thailand also unveiled the new CBR 250RR. It's powered by a parallel twin, DOHC engine that produces a nearly 40 PS and 23 Nm of torque. Honda says it is inspired directly by their RC213V race bike and is the most advanced production 250 cc motorcycle available in the market today. It also comes with ride-by-wire technology, full LED lights, fully digital instrument cluster, ABS, and riding modes; Comfort, Sport, and Sport+ (sport plus). It will be sold in Thai Honda dealers starting April 1 at 249,000 Baht or roughly PhP408,200. Over in the Ducati booth was the new Multistrada 1260. Now equipped with the new Ducati Testastretta DVT 1262 cc engine, the new MTS is now even more pleasurable for everyday use, thanks to the increased torque at low and mid-range engine speeds. Max power output is at 160 PS and 129.5 Nm of torque. The Multistrada also comes off the shelf with lots of rider aids, such as Cornering ABS, Vehicle Hold Control (when starting uphill), Traction Control, riding modes, and Wheelie Control. Maintenance intervals are also extended: 15,000 kilometers for the change oil and 30,000 kilometers for the "Desmo Service" valve clearance control. Perhaps the most noticeable trend this year at the show was the presence of truly high-quality and awe-inspiring customs. It seems many of the brands were eager to show how customizable their bikes are with a modified version of a current bike on display. GPX Motorcycles is a proud Thai motorcycle manufacturer. The company was started in 2007 by a young 21-year-old entrepreneur, Chaiyos Ruamjaipattanakul, as ATV Panther. The company produced All Terrain Vehicles, then moved to motocross bikes and now has a complete lineup of motorcycles from everyday workhorses to weekend leisure bikes. On display was a customized version of one of their recently released models, the Legend 200. This one-off features a scrambler/race bike mashup setup, finished in full chrome. We featured this bike once before. It's Honda Racing UK’s Glemseck CB1000R that was displayed at Honda's booth. The bike is outfitted with a bespoke single-sided swingarm, a custom clutch, and Rizoma accessories. It also has a full Akrapovic exhaust system, upgraded Brembo brakes, and Fireblade SP Öhlins suspension. This bike was raced by Mick Doohan himself at the Glemseck 1/8th mile. Topping it off is an HRC tricolor scheme with generous use of gold. Displayed by Cub House, a boutique Honda custom shop in Thailand, was this very alluring Super Cub 125 Copper limited edition. Cub House has been making very special versions of Cubs and Monkeys for some time, collaborating with several well-known brands. The base bike is a Super Cub C125, however, this time, the panels and wheels are coated in a very special pearlescent shade of copper. There's even a white sidewall treatment to the tire. The seat itself is tan Alcantara. Like its past special editions, Cub House makes "never over a hundred" units, ensuring that this limited edition stays that way. It is only available to Thai residents. Another notable custom was this one from K-Speed customs. K-Speed is a Thailand-based custom motorcycle shop that has already won praises in the European custom bike scene. The Iron Racer Mark 1 is their latest creation, displayed in the BMW booth. This bike is based on an R-Nine T Racer. It features an off-center headlight hidden behind the fairing and LED turn signals and tail lamps. The tail section has been completely chopped off. The front and rear fenders have been removed. The fairing itself is entirely custom made, giving it an Ironman Mark 1 suit look. Best of all, this bike is no garage queen. Have a closer look at the tires and you won't find any chicken strips, with tire wear right up to the edge. This year's Bangkok International Motor Show showed some renewed interest in fully-faired sportbikes, as evidenced by the launches. On the other hand, the number of customs on display also indicated that the modification scene is definitely growing, and in fact greatly improving in terms of creativity and quality. It's a trend we hope will make it across the pond onto our shores. Should we be celebrating already? Too soon says our legal expert. Our legal expert thinks RA 11235 is very specific about plate material and penalties. Only an amendment or repeal can overturn it.